Being a food blogger surely rubs off your family as well. Even though there was a time when my need to click a picture before they could eat, used to irritate my folks, they have now advanced so much that they even ask me if I have clicked pictures before attacking the food. Not just that, they even suggest ideas and new ways to cook food. And not just that they even started talking about the cookery shows that are now such a common part of all the channels. Yesterday it was a full fundo of such discussions among us, which started with hubby dear updating me on the wonderful recipe he was lucky to watch while eating his lunch. He even told me what exactly the cook did. She too strawberries, asked us to wash, chop, take milk, mixer. Add chopped berries, milk and sugar, run it for couple of minutes until smooth. Remove lid, taste, add more sugar if you want. Else remove to a long fancy glass, and your Strawberry Milkshake is ready! He said that was such a tough recipe that Athamma was watching with unabated breath and he was hoping the cook would come up with a last minute twist. But then she asked the host to drink and the dish was done. This followed another discussion with kids during their bedtime. Hubby dear continued that after that tough strawberry recipe, he had stumbled upon another equally competing dish and went on to proceed. Hearing their father being so enthusiastic about making drinks, Peddu asked if I knew how to make Hot Chocolate. On hearing that we don’t know, he said in steps how to do it! Take 1 tsp of drinking chocolate, 1 glass of hot milk and run the liquid between two glasses for everything to get mixed (of course he said that in telugu). Hearing his brother explain how hot chocolate is made, Chinnu didn’t want to appear otherwise, so he asked us if we know how to make Bour vita drink. Unheeding our protests for not explaining, he happily explained. In the end, Hubby dear commented it was high time I created food blogs for Peddu and Chinnu. Well with exactly these thoughts I had created a blog for Konda, which I hardly get time to update, at one point she wanted to make something and share on the blog. I said I have enough food blogs on hand to manage, I don’t need another! Now coming to the recipe for today, it’s another delicious authentic dish from Gujarat and Rajasthan. 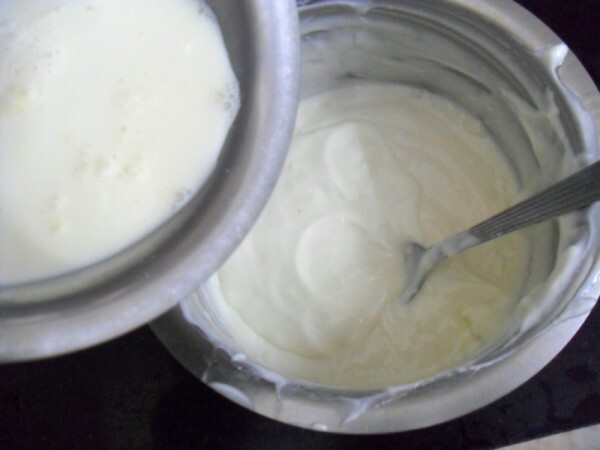 Now I might never can say the exact origin of Shrikhand. 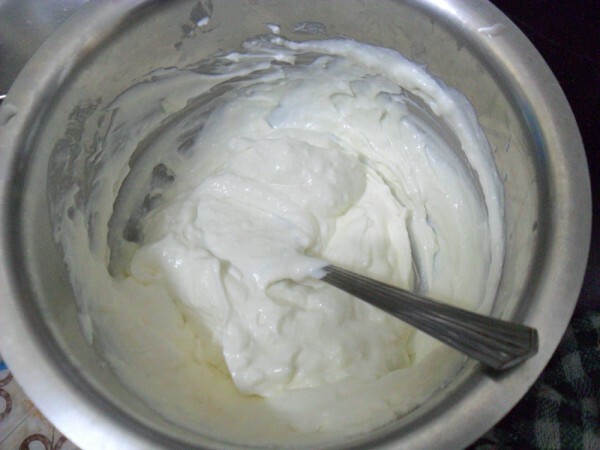 I had made one version of Shrikhand earlier during Rajasthan RCI. And this is entirely another way of making it, though you surely end up with some delicious treat on hand. The last time I had made was with mangoes, and the Mango Shrikhand tastes yum as well! This one is inspired by the NDTV recipes and this is surely a keeper. 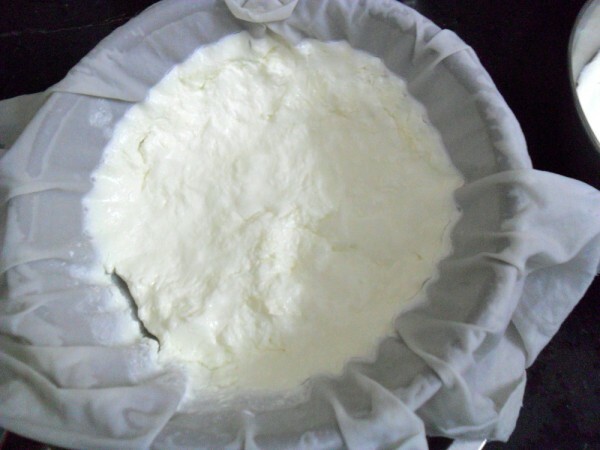 Hung curds overnight or for about 6 – 7 hours. Using a fork or a beater, beat the curds well. 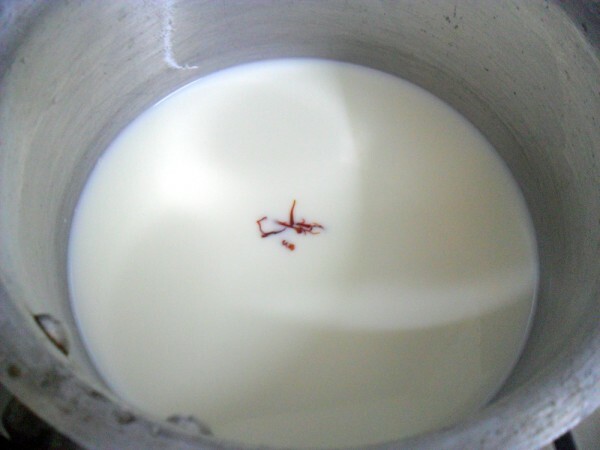 Meanwhile in a pan, infuse saffron and milk. Boil them for 15 mins. Allow the milk to really cool down. In a bowl, add hung curd, add caster sugar till the sweet is right. 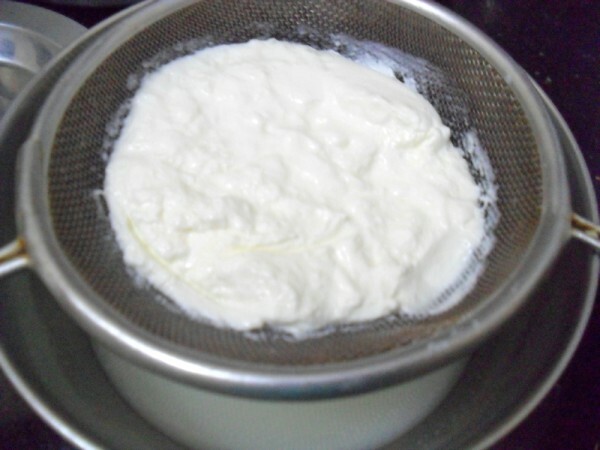 Once the milk is cooled, slowly add it in small amount into the hung curds and blend well. 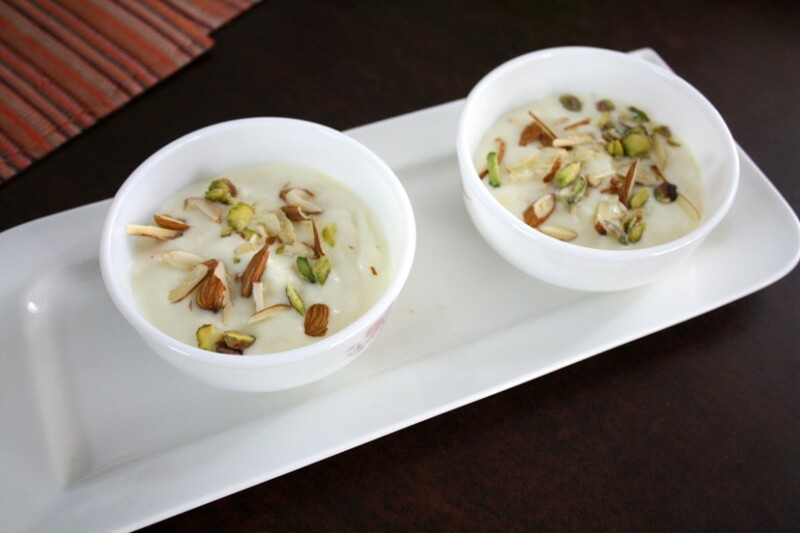 Continue till you complete all the milk, add chopped pistas and almonds, keep some for final garnish. 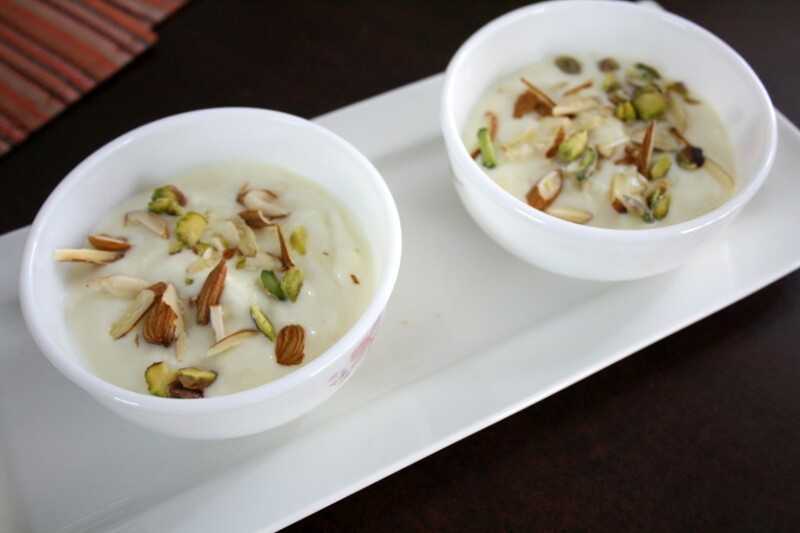 Set them in a bowl and garnish it with chopped pistas and almonds. Keep it in the fridge for 4 – 5 hrs. 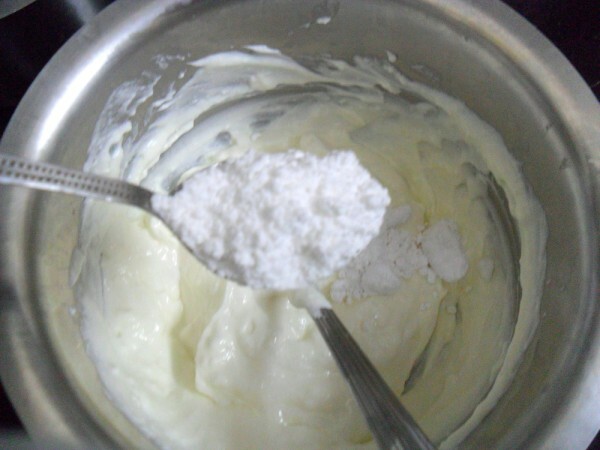 While adding castor sugar, you can start from spoonfull and continue until you get a sweet curds. It almost took me 1/2 cups or little more. This can be chilled in a big bowl and served in individual bowls later. Awesome. This will be appreciated by both my FIL & father. Looks absolutely delicious and perfect.. lovely shots too ! So Valli how many more blogs? 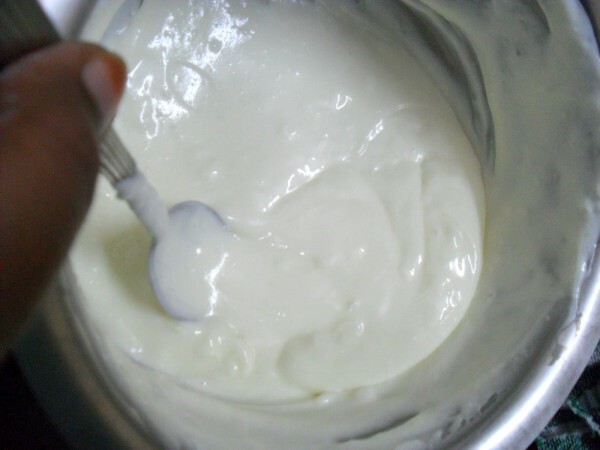 Ehe…ehe…I am waiting for those cute blogs…and the flavors used for this Shrikhand are very pleasing..lovely. Always amazed and totally agree with wat Pradnya told about u here.. Shrikhand looks super nutty and very droolworthy. We are just 2 of us in the house for now and I find it difficult to click a pic at times. 🙁 My folks love the srikhand a little more thick. 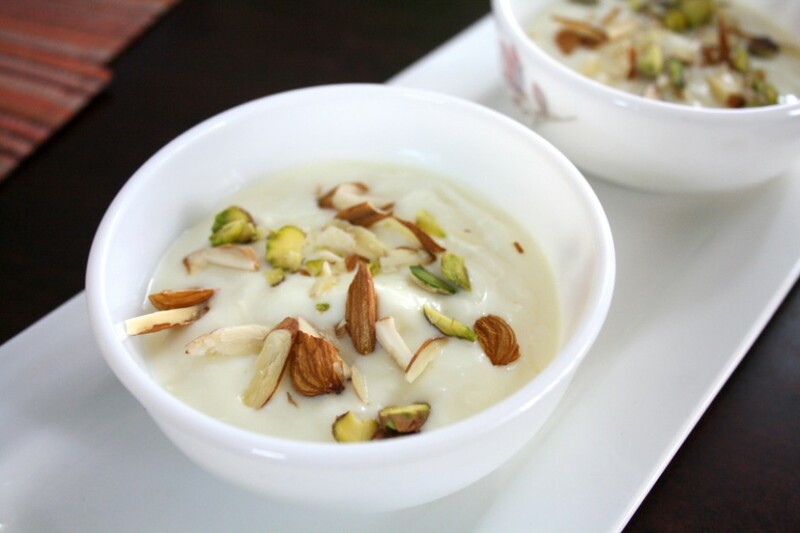 However I love the nuts in srikhand anyday. This is one of my to do dish.super perfect. Future chefs ! Kids are always amazing, shrikand looks delicious, feeling to finish the bowl. Love shrikhand in all forms.